Welcome to T & M Autocare. An established and respected Leeds based MOT, Servicing, Repairs, car parts and car accessories company. Expansion has seen us open a superb new state-of-the-art facility offering a full range of garage services, including MOTs for Class 4 Cars to Class 7 large vans; vehicle servicing, repairs, welding, clutches, diagnostics, tyres and exhausts. Together with our Car Part & Car Accessories Shop, we can attend tou all of your requirments. Our premises offer first class garage facilities to customers in Leeds, West Yorkshire and the wider area. We are also proud to say that we are members of the Good Garage scheme. Our facilities mean that we can offer new and existing customers more and compliment the high standards of service and value for money that T & M Autocare MOTs Servicing & Repairs is well known and loved for. Our Leeds garage provides a full range of services for all makes and models of car and light commercial vehicles. We specialise in everything from family cars to motorhomes and caravans, bikes, vans and even high performance vehicles. Our prices are very competitive and you will find us considerably cheaper than main dealers on everything from servicing, repairs, tyres and exhausts. We pride ourselves on providing a personal, friendly, professional, value-for-money service and our customers appreciate our pick-up and drop-off service. Customers also like using the workshop viewing area to see work being carried out on their vehicles, as well as relaxing in the customer waiting area which offers a drinks machine, pool table and television. All our staff are highly trained and we are able to carry out services on new vehicles whilst preserving the manufacturer’s warranty. If you want to get your vehicle checked out or need some work doing to it, make sure you give T & M call. 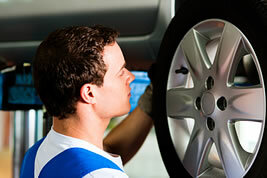 We are the garage in Leeds that people trust to look after their vehicles. For garage services in Leeds, MOTs in Leeds, vehicle servicing in Leeds and car repairs in Leeds we are the company of choice. 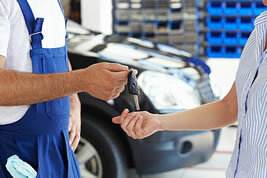 We offer a discounted vehicle servicing package for company accounts. Please give us a call to discuss your requirements and see how much money we could save you on your fleet servicing in Leeds. Our Car Parts and Car Accessories Shop offers a comprehensive range of quality prices at competitive prices. Give us a call today, or call in and see us. We look forward to helping you. Copyright © 2019 T & M Autocare. All rights reserved.